Presentations available on the Impression Page. The 2nd Global Forum of the International Federation for Produce Standards at the Fruit Logistica in Berlin was an interesting one. Food safety and Product scanning were the main issues. There is a challenge for IFPS and its fresh-community in harmonization of standards. Not only for fresh but also connected to food in common. Ph. Binard: “IPFS is one of the key-drivers in global harmonization, there is a huge need for that. But let me be clear. Stricter rules does not mean safer food.”. J. Vooijs: “Speaking about T&T and EHEC is not a nice story. It’s our responsibility to make sure the consumer gets safe food. It took 5 days to make clear that tomatoes, lettuce and cucumbers of Holland were totally safe. But it took weeks to sell them again. EHEC was a great problem but also a media hype were T&T can’t help. T&T ensures your safety to the wholesalers. But the problem is consumers were stopped eating the fresh produce by lack of trust.”. Supply chain-wide adoption of electronic traceability for every case produced by year 2012 is the vision of the Product Traceability Initiative. Chr. Harris :”It’s simple, GTIN (global trade item number) and lotnummer (batch-id) on every case. But implementing this in the complete chain from producer till retailer is not easy. But one thing we already achieved. We found by implementing a lot of opportunities to optimize our process.”. During the presentations about Product Identification and Supply Chain Management the main theme was product scanning at the store and focused on consumer level. Implementing databar at Fresh produce is not easy according to G. Rowe. But it gives a lot of opportunities as a basis for smarter, fresher and safer food. Databar gives the opportunity to stack more data into the label. More and more retailers around the globe are implementing databar in their processes. J. Stroeken :”The question is can standards give value to the chain. How can we communicate in the right context with the right content. Von KENNbar SCANbar machen” is his opinion. By doing that we can reach and train the consumer by using his Smartphone in a proper way. The challenge is up to us to connect the consumer and to inform him about all the product details and progress of the fruit and vegetable chain . Make it visible for the producer at consumer level. Facebility is his advice. Integration of traceability and marketing.”. 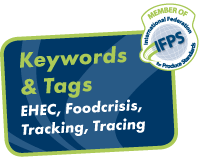 IFPS is pleased to announce that they are organising regular Forums at different meetingspoints of the International Fresh Produce Industry. The first global forum was held at Fruit Logistica on the 10th of February 2011 and was a great succes. The second annual global forum will take place in Berlin at 2012. The first regional Forum is held at Asia Fruit Logistica. Regurlay IFPS will organise regional meetings for update the industry on what is happening. More info on this pages. This Forum has been set up for the benefit of all companies involved in the global fresh produce supply chain. In particular, we invite directors, senior executives and managers with responsibility for food safety, quality,logistics and transport management; and the IT systems that support the entire process from field to table. If you deal with food safety, productidentification and supply chain information management with respect to fresh produce, then this forum is for you. 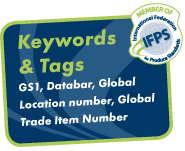 IFPS is pleased to announce their second global forum to be held at Fruit Logistica on the 9th of February 2012 and I have the pleasure of inviting all fresh produce professionals to attend. happening with respect to Food Safety, Product Identification and Supply Chain Information Management. I would like to acknowledge Fruit Logistica’s support for this Forum and I look forward to meeting you in Berlin. Here you can download the presentation given by several speakers during the 2nd Global Forum in Berlin. Download follow as soon as possible.